Moseley Road Baths Action Group, of which Birmingham Conservation Trust is a member, is another step closer to securing a future for the historic Birmingham baths. Last month, BCT director Simon Buteux chaired the interview panel which appointed the partnership of the National Trust and the Prince’s Regeneration Trust to carry out the options appraisal on the Grade II* listed building. Jointly, the National Trust and The Prince’s Regeneration Trust will propose how the building can continue as a public swimming baths whilst exploring what additional uses it could accommodate. The options appraisal will research other examples of historic baths across the UK that have been successfully regenerated and the partnerships that made them work. 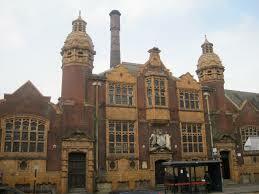 From this it will suggest what the future options are for the ownership and management of Moseley Road Baths. Such great news that it can be removed from the historical England at risk register. Heritage tourism plays a huge role in the UK economy, attracting both international and domestic tourists and can provide a source of revenue to maintain historical sites. Its a very specialised industry and of course, construction techniques and materials used in the past, vary a great deal to those used today and therefore knowledge of the effects of modern processes is paramount to ensuring the original character and appearance is maintained. It’s got a long way to go until it can be removed from the register but it’s a great step in the right direction. More funding will be required to be able to get works done but it’s really positive that it’s getting such attention as it all helps the cause and in future it will hopefully get removed from the At Risk register. Great news – some solid progress. I do hope they are able to find a viable solution.